Polka Dot Overload | Sewing, knitting & vintage projects, tips, tutorials and cartoons! : Polka Dot Birthday Giveaway: You! On a Vintage Pattern Envelope! Polka Dot Birthday Giveaway: You! On a Vintage Pattern Envelope! Hello dear readers! In honor of reaching 200 followers—well, 226 now!—and my 32nd birthday (that's Friday, June 1st!) I'd like to offer a somewhat unusual sewing giveaway. The prize: A simple digital color cartoon illustration of YOU, on the vintage sewing pattern envelope of your choice--maybe one you've already sewn, maybe one you want to sew, maybe one you won't ever sew, but just LOVE to fantasize about. The deadline: entries due by midnight EST on June 6, 2012. This giveaway is a bit special (estimated value: $125? ), so I'd like to reward a loyal blog follower who has come back at least a few times (or who plans to read the blog regularly), as opposed to a random giveaway seeker who is brand-new to the blog. I will draw five entries at random, then choose my top favorite based on the items described. Extra points for creativity, style, fun fabric and accessory choices, long-time readership, etc. Follow this blog (better yet, already be a follower!). Tell me why you like to read my blog. Make sure your contact info is obviously available in your Google profile or leave an email address. If you enter, you will have one week to send me a clear full-length photo of yourself, a decent image of the pattern envelope you'd like to be pictured on, and a photo or description of the fabric(s) you'd like it to be made up in, plus inspiration images for accessories and hair. The fabric does not have to be accurate period vintage—it can be as wild or weird as you like..
You understand that these reference photos may be published on this blog in the giveaway followup post. I estimate I'll have the drawing done in 6-8 weeks (not that the drawing will actually take that long, I just have a ridiculously busy life at the moment). Copyright for the standalone drawing stays with me, but you have unlimited usage rights (on your blog, business card, wherever) as long as you attribute it. Because the idea is "Real People on Vintage Envelopes" please keep in mind that I am not going to make you look taller, or skinnier, or more or less X, Y, or Z--I will pretty much stick to your actual fabulous outlines as delineated in whatever photo you send me. I will send you a rough sketch as part of the process, but reserve the right not to make many/any edits or changes to the sketch or final. Remember: giveaway entries due by June 6, midnight EST! Wow what a fantastic giveaway. I have not been following you long, so I will opt out, plus am only a beginner not anywhere near the vintage pattern stage. Absolutely fantastic prize. What a cool idea! I won't actually enter for the give-away, but I can't wait to see the drawing for the winner! You know you could offer to do this same thing in an Etsy shop and people would pay you. Hint hint. Oh, I know -- but then when would I have ANY time to sew? :) Maybe someday, but I don't have the bandwidth for any additional regular illustration gigs at the moment. What a lovely idea, I would like to participate. I would love to have an illustration of one of my upcoming projects. A 30s floral dress with black bow and belt which I would wear with my black vintage heels. I would use the illustration for my blog and I think it will deserve a place on my picture/painting wall. Besides the things you sew, which I like, I really love the illustrations on your blog. oh how lovely! I just love those 30s dresses! WOW - what an awesome gift! I have to find just the right dress (I have a couple in mind) and the right fabric (I wonder if I have that in my stash to go with the dress). It's so interesting to me that we are exactly 10 yrs apart. My bday is June 5 (will be 42) and my baby, also a girl, was born when I was 29 (almost 30). Oooh, freaky. Me, me, me! Ooooh, I would LOVE to win! I would love an illustration of me in a classic 1960's sheath dress with a big purple beehive! I would ABSOLUTELY use it in my blog header! Amazing! Why do I read your blog? Because it's fantastic! I love your sense of colour, your use of pattern, the garments you make are always terrific and your knitwear is inspiring! Your illustrations are always fab! I love coming here because it's bright, fun, and always colourful! oh you are so sweet! I love the purple beehive idea!!! mikhaela, what a cool and generous giveaway for your birthday week. i love your new WSR graphic and am sure your work for the edwardia pattern will be fabulous. that MUST have been me, I am always near 28th and 7th! I love reading your blog because you're a rock star. You knit like a champ, your family is adorable, you have great stories, you love Doctor Who, and you sew lovely things. Your personable and fun, you made a snuggie, and I hope I get to meet you whenever I come to NYC next. OK, I would TOTALLY make an exception to my vintage pattern idea and draw you as a Tardis if you win... BUT what about as the Tardis when she was incarnated as a woman in a very vintagey dress?! OMG.OMGOMGOMG. OMG. I LOVE IDRIS. This is why we are friends x 1,000.
ohh what an awesome giveaway. I have been reading since you had your daughter, who is a little younger than my oldest. I found you through you sewingpatternreviews.com after admiring your work. I sew, but am not at vintage pattern making level yet. So this is just pretend for me. I think simplicity 6838 (http://vintagepatterns.wikia.com/wiki/Simplicity_6838) is gorgeous. I like version 3 in a jewel tone like deep purple or dark turquoise. Just pretend is fine! what a pretty dress! What an awesome giveaway. I know EXACTLY what I'd want! I plan to make it up this summer in silk charmeuse (either silver or a black-ish snake scales or a frenetic flowery orange print - all three if I like the pattern) along with a kimono made from black lace that is in a zebra-like pattern (I'll underline in silver or turquoise, I think). I am definitely thinking of Elizabeth Taylor in Butterfield 8, although I think it is more likely that I will wear my slip with monkey puppet slippers rather than boudoir-ish pumps with maribou trim (http://static.guim.co.uk/sys-images/Guardian/Pix/pictures/2011/3/23/1300892522836/Elizabeth-Taylor-in-BUtte-007.jpg) I will definitely be wearing it with purple hair while sipping a cocktail. I will plaster it everywhere - I've been looking for art for my Craft Lounge, obviously would blog it (esp when I'm actually sewing the slip) and I've been thinking about personal/calling cards for myself/my blog lately. Oh, and it would prompt me to actually work on my blog's banner. Maybe this would not be one for mom. I read your blog b/c (but not limited to) your love of orange, the creativity of your sewing and knitting, that I totally envy your art mojo (seriously love "croquis me"), and I have ulterior motives to pick your brain about sock knitting as soon as the opportunity arises. oh I'm blushing! we must indeed talk socks! I'm almost done my blue ones. Great idea. I have no imagination for these things. But, good luck to everyone who applies! OMG That is the most fabulous giveaway idea EVER. Makes me wish I'd thought of it. :) I discovered your blog just before your daughter was born and fell in love with it just as you went on hiatus---I've been so excited to get to connect since you "came back" :) What do I love? Your style, your art, your take on things. I wish we could be buddies in real life. WAY back when. Damn, I love that pattern. I have no idea about fabric/colour except maybe a Steampunk/sepia kind of feel. Hmm. I just kind of glanced over my pattern stash list and Simplicity 3061 (http://www.flickr.com/photos/lladybird/6668985483/in/set-72157628798165111) jumped out at me - in the navy/white combo with straw espadrilles & maybe holding a straw purse, with my hair set in some kind of giant 50s curly awesome. I also looove McCall's 2137 (http://www.flickr.com/photos/lladybird/5547006390/in/set-72157628798165111), but I have no idea if it would even be fun to just do what is basically an upper torso :) God, I love me some cowboy shirts though. If I won, my drawing would get plastered everywhere until people were sick of seeing it :) Think all over the blog, probably my lil blogger icon or whatever, my personal facebook picture... seriously, everywhere! And I'd print out a nice copy of it to frame & hang in my sewing room :) I don't have business cards, but if I did - they'd go on those, too! Wow! What a cool idea for a giveaway. I like your blog because I love vintage sewing, I love your bold use of colour and prints, I love your illustration style as well, and as a bonus, I love NYC blogs! And mommy blogs. It's interesting to watch the babies grow from nothing into people on the internet! 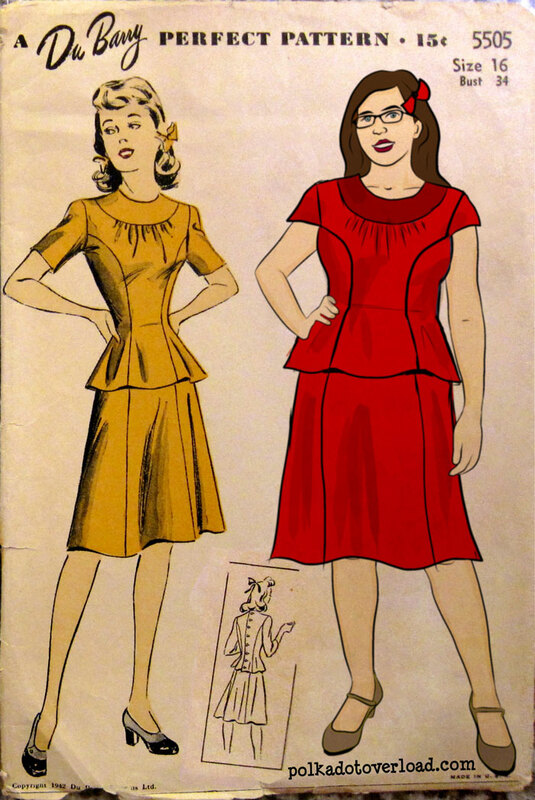 If I were the winner, I would have you draw me in a 1950s suit, since I've been collecting the patterns, but haven't sewn one yet. Specifically, Vogue 8065 from 1953 -- I love what it does to a ladies' hips! In a really intense royal/navy blue silk shantung, with a pale mint scarf around my neck, the way Dovima might have worn it. I never wear vintage hair, so my Bieber/lesbian/hipster swishy hairdo will have to do. With my black pumps with a bow from NW and my vintage black purse as accessories. And maybe a small hat. Maybe. Oh goodness! Where to begin. I started following your blog when you were pregnant. I was so inspired by your sewing. I also loved your love of chartreuse (especially the shoes!). I hated my maternity clothes and thought why not make them-- if she can, I can! After that your personality made me want to continue to see what you were up to. I remember the silence and knowing you must be having your baby Z. I was excited for you. A few blogs make it feel like you get to know the person, and you are one of them. As for the drawing, I knew the second I read this entry what I would want if I won. I want definitely want a gown. Maybe a wedding gown or a satin gown.... From the 40s-50s probably. I am not particular on the color. No patterns though, solid color. I did not have a wedding when I got married and can not think of any occasion where I would be able to dress up in a beautiful gown like that. I would love to have a the picture framed and put in my bedroom. That way I can remember to always be glamorous. I am glad you are posting more frequently. 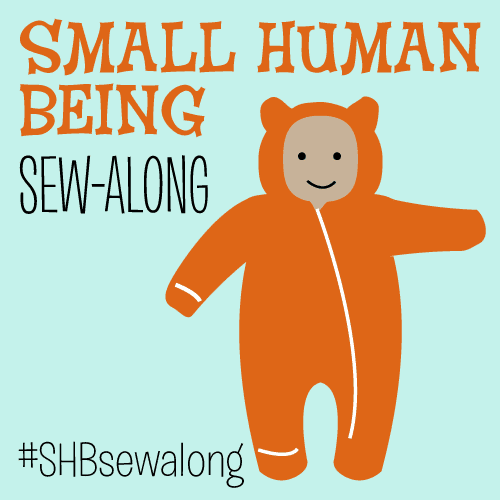 Please show us what you have been sewing. I know it is hard to fit it in with a little one. What a FRIGGIN' COOL giveaway. I'm not entering as I'm not really a vintage pattern sort of gal, but I can't wait to see the winning drawing! Oh, I envy your talent. This is so cool! I'll have to think on what pattern I'd want. Probably something 40s but maybe something 60s because I love them but can't really wear them (pear figure + unshaped 60s shift = teepee). If I can come up with the specific pattern later, please enter me. I have been wanting to do a blog header forever, since I just use the generic text template, and this would def go in the header. Specific pattern later is fine for an entry! The pattern I would choose is Butterick 2674. I wrote a post about it here: http://line4line.blogspot.ca/2012/01/ladies-wear.html. It's a vintage dress with a gored skirt. I would like this simply for its artistic value. I think your drawings are inspirational - I love how you put your own style and personality into them. It makes me wish I had the skill to do the same (which you know I'm trying - very slowly, apparently - to develop). I read your blog because it's entirely enjoyable. I love to hear about your multidimensional crafting, to see pics of your family, to see your drawings, to learn about croquis and other elements of creating a palette. I think we approach fashion in a very similar way, though we have different style. And I am pleased to see a blogger with a similar shape, whose sartorial considerations I can relate to. You write well and enthusiastically about many things. I also admire your ability to do the many creative things you do with the responsibilities of a toddler. I know how hard that is. Can't wait to see how this progresses. Whoever wins, we all get to benefit from the experience! And (a late) HAPPY BIRTHDAY!!! Part of the reason I love to read your blog is because I love the illustrations you do when you are planning your projects! It's so much fun to see that design become a real piece of clothing :) Also, you are just really fun to read, and the things you make are always so nice, and practical, too! What an amazing giveaway. I think this might be the most special and interactive one I have ever come across, and that is saying something! I did not have the perfect hat to top the outfit off when I wore the dress yesterday. In a perfect world, I would have whipped up something, but time ran out, as it often does . . . But with a drawing I can pretend that I finished that exquisite hat and my softly curled hair looked perfect and fabulous even though rain was threatening all day long and the wind was ridiculous! Now, what to do with this fabulous new image? Well, for starters, I have been meaning to get some business cards for quite a while, and this would absolutely motivate me. And my blog header is getting old . . . I think I would take the illustration everywhere with me and brag about what a fantastic online creative community exists. And of course post it all over my blog. Thank you for all of the inspiration. As soon as I saw the name “Polka Dot Overload” I knew that I had found a kindred spirit! I am totally in love with the new We Sew Retro header. It makes me click through my google reader to the actual site just to see all those little faces smiling at me. And your cartoon illustrations of knitting projects always manages to make me pick up my knitting needles (until I get distracted by the next vintage sewing pattern!). What a great idea! I love vintage pattern illustrations and use them in my own art work as well. I would want an early 1960's full skirt in a floral pattern, perhaps yellow or red roses. Very Betty Draper. (I have a pattern in my collection that I can't find an image of online). I love how full the vintage circle skirts are in the illustrations, so the bigger the better! I would of course need some high heels, as in real life I can't wear them long enough to get a photo before I topple over or just give up. Some sort of fabulous brooch or necklace would be in order as well I think. I would definitely post the image all over my blog, and also hang a copy in my sewing room for inspiration! Your blog is adorable! As someone who also sews and knits, it is fun to see the variety of project you accomplish. Its very inspiring and always gets me thinking about my next project. Ok, this is too awesome. I'd want to be in an awesome 70's maxi dress looking like a Charlie's Angel. I'd want the dress to be some crazy floral chiffon. Sheer but with a short under dress beneath. And of course, giant sunglasses and short, feathered hair. I am cutting it pretty close on this one because I forgot it was EST midnight not my midnight. I am still not entirely sure that this is the pattern I love the best but Simplicity 3471 http://vintagepatterns.wikia.com/wiki/Simplicity_3471 is adorable and I would love to have it in a bright Pucci or Marimekko style print. I was also looking at some 70s maxi dresses, but I am really more of and early 60s kind of girl. Oh and I would wear a brighht pair of wedges and a chunky necklace and my locs in a braid out with one side pinned back with a giant ranunculus. Holy cats but the girl with the veil looks fierce! If I were her, I wouldn't change a thing about her except instead of the little pocket square, I might be carrying a tiny robot in my jacket pocket--because that's what you do when you have 2 boys, and I love anachronisms.